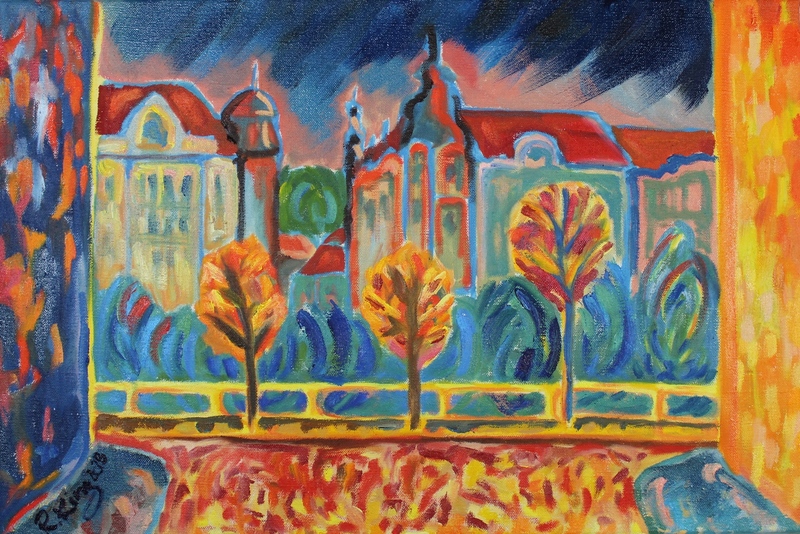 Artist’s autumn romantic Prague walks along the river Vltava inspired this original acrylic painting. The original acrylic painting on canvas was donated to a charity auction. But you can enjoy high-quality prints with this beautiful and evocative art. The matte, museum-quality posters are printed on durable, archival paper.